HJ: There is nothing more misunderstood than food. And yet, therein lies one of the keys to radiant health and wellness. Our health is a combination of the beliefs we have about ourselves, our emotional state, the condition of our bodies and the food we choose to put in it, among a few other things. It is complex, but certainly the role of food cannot be overstated. The body thrives when it is supplied with ample nutrients and healing substances and falters when fed nutrition less garbage, especially if you believe the body is susceptible and inherently flawed (which, I would add, it is not). But perhaps that’s straying off point. The fact is that proper nutrition can be a huge factor in your health and wellness and in this fantastic, detailed article, Dr. Mark Hyman breaks down just what exactly your brain needs to heal and thrive. Enjoy. I call myself the “accidental psychiatrist.” I never set out to be a brain or mood expert. In fact, my focus was more on how the body works as a whole system. And people came to me not to treat brain disorders like depression or autism or Alzheimer’s, but to deal with chronic complaints and illnesses of the body. Over the years, as I worked to correct the fundamental imbalances that cause all disease, I discovered that mood and brain disorders would often magically disappear as I treated patients’ physical problems. I began to investigate, for example, how treating digestive problems could cure depression, or how detoxifying a patient from mercury could bring back his or her memory. As it turns out, the body and the mind are one interacting, interlocking, networked system. And imbalances in the body’s seven basic core systems — nutrition, hormones, immune function, digestion, detoxification, energy metabolism and mind-body — can cause brain disorders resulting in altered mood, memory, behavior and attention. The upshot? Fixing your body may be the best way to fix your broken brain — and improve the quality of your life as a result. Our society is experiencing an epidemic of brain problems — depression, anxiety, memory loss, brain fog, attention-deficit disorder (or ADD), autism, and dementia, to name a few — and yet almost no one is talking about it. Unlike obesity, which you can’t hide, psychiatric disorders like depression and anxiety (as well as brain dysfunctions that fall on the lighter side of the broken-brain continuum, such as mood swings, anger or just feeling a bit anxious or depressed most of the time) are often suffered silently, hidden from view. Yet such problems touch nearly everyone, either personally or through family members and friends. The numbers tell the story: An estimated 40 million people in the United States experience some sort of anxiety-related disorder. As many as 20 million suffer from depression. The use of antidepressants has tripled in the last decade. I’m not suggesting that nutrition is the only effective approach in treating mood and mental-health disorders. If the body is in balance and brain or mood problems still persist, then working with the psycho-emotional and spiritual dimensions of these problems — through therapy, for example — is critical. And yet only about 10 percent of us are nutritionally, metabolically and biochemically balanced enough to fully benefit from psychotherapy. What’s more, years of psychoanalysis or therapy will not reverse the depression that comes from profound omega-3-fatty-acid deficiencies, a lack of vitamin B12, a low-functioning thyroid or chronic mercury toxicity. The bottom line is that nutritional influences affect mood through the body, and they do so powerfully. So optimizing nutrition through mood-calming foods and supplemental nutrients is one of the most important factors in keeping your brain healthy and your mood steady. In fact, when it comes to dealing with anxiety, moodiness, depression and memory problems, certain healthy foods — including a wide array of fats, proteins, carbs and special nutrients — help heal and comfort your brain in ways that no drug or other intervention can. And chances are good that you could benefit from eating a whole lot more of these foods more often. Do you gather wild plants to eat? Do you hunt wild game for your meat? If not, you are likely one of the 99 percent of people who are deficient in the most important ingredient bodies need for normal cell and brain function — omega-3 fatty acids. Your brain is built from fat. And omega-3 fats are the most important building blocks for a healthy brain and cells. Yet, in the last 150 years, we have seen an unprecedented change in our fat intake. All of the major diseases of aging, as well as the epidemic of “brain disorders,” including mood problems, are directly associated with this change in our diet. Specifically, low levels of omega-3 fats have been linked to everything from depression and anxiety to bipolar disease and dementia. Our brains don’t work without omega-3 fats. Period. Why? Because omega-3 fats, together with phospholipids, form the basic structure of all our cell membranes. In the brain, specifically, each brain cell is connected to every other brain cell by about 40,000 synapses, and they are all sending messages constantly. Each of those connections meets at the cell membrane. Healthy cell membranes — those formed with an ample supply of omega-3 and other healthy fats — are fluid and flexible and allow for easy communication from cell to cell. This supports not just happier, more balanced moods, but clearer thoughts and a sharper memory. Conversely, if a cell’s membranes have been formed from unhealthy substances that lack flexibility and fluidity (such as trans fats, rancid fats or industrial oils), the cell’s membranes become rigid. Effectiveness and speed of communication slows down. That leads to poorer mental function, memory problems and mood disorders. The trillions of cell membranes in your brain are the ears that “listen” for messages that tell your brain to be happy or sad, to focus or be inattentive, to relax or be stressed. Protein — or more specifically, the amino-acid building blocks of protein — are the messengers, or neurotransmitters, that do the “talking” in your brain and throughout your body. If your cells are going to get the message, they need protein. All protein is made from only eight amino acids we must get from our diet. These essential amino acids are the raw materials we use to make all our neurotransmitters and the receptors or docking stations on our cells on which they land to transmit their messages. If you don’t eat adequate protein at every meal, your brain can’t work properly. You will be sluggish, foggy, anxious, unfocused, tired and depressed. A severe lack of serotonin is what makes people feel depressed and turn to drugs like Prozac and Zoloft. To illustrate how what you eat affects your mood, take the neurotransmitter serotonin. A severe lack of serotonin is what makes people feel depressed and turn to drugs like Prozac and Zoloft. Interestingly, one of the reasons many people crave refined carbohydrates and sugars is that eating them results in a serotonin surge. But the effect is only temporary: Serotonin levels then crash, causing renewed cravings for something starchy or sugary. Unfortunately, this same dynamic ultimately makes us feel more depressed. A tryptophan-deficient or low-protein diet. Tryptophan (present in many protein sources, like eggs, fish, poultry, milk and spirulina) is the primary amino acid from which serotonin is created. No tryptophan equals no serotonin equals a very unhappy mood. Blood-sugar imbalances (insulin resistance or prediabetes). This condition comes from eating a processed-food, high-sugar diet. The imbalance briefly spikes — and then depletes — your serotonin, leading to mood swings. Magnesium deficiency. This is an incredibly common deficiency in our society because stress, caffeine, sugar and alcohol all deplete magnesium. The deficiency, in turn, prevents the body from making serotonin. These are just a few of the ways that production of one neurotransmitter can be inhibited. And every one of these neurotransmitters — including GABA, which helps you relax, and acetylcholine, which helps you learn and remember things — is similarly influenced by our diet and lifestyle. Drugs like Prozac generally help to improve only half the symptoms half the time and typically involve a variety of side effects, some of them serious. If you can get equal or better results — plus positive side benefits — from simply optimizing your nutrition through good, whole-food sources of protein and other natural nutrients, isn’t that worth a try? Carbohydrates are the single most important food for long-term health and optimal brain function. This may be a shocking statement given the low-carb movement in America, but it’s true. Of course, I don’t mean the overprocessed, refined, sugary white food we commonly think of as carbohydrates, such as doughnuts, bread, bagels, muffins, colas, juices and most junk food. And I don’t mean the cheap, supersweet, government-subsidized high-fructose corn syrup that is driving our epidemic of obesity and disease and contributing to our epidemic of mental illness. The carbohydrates I am talking about come from the real, whole, nourishing plant food that the human species has thrived on since the dawn of evolution — plant foods like vegetables, fruits, beans, whole grains, nuts, seeds, herbs and spices. These healthy carbohydrate foods positively affect our moods in many ways. They contain slowly released sources of sugars that prevent surges of blood sugar and insulin, which are toxic to the brain. Slowly released carbohydrates from whole, unprocessed plant foods also help keep our serotonin levels even. Carbohydrates also contain all the vitamins (except B12) and minerals our bodies need to operate. And they contain fiber, which helps normalize our digestive function and slows the absorption of sugar and fats into the body, which keeps us (and our moods!) balanced. The bonus factor in plant foods is the ample supply of phytonutrients — colorful healing compounds that protect us from brain damage, aging, obesity and more. I agree with that. In fact, I’d argue that you need to know little else to craft a healthy diet. Create meals high in low-glycemic legumes such as lentils, chickpeas and soybeans. These foods slow the release of sugars into the bloodstream, helping to prevent excess insulin release leading to insulin resistance and its related health concerns, including depression, dementia, obesity and high blood pressure. Eat a cornucopia of fresh fruits and vegetables teeming with phytonutrients — carotenoids, flavonoids and polyphenols — associated with a lower incidence of nearly all health problems, including dementia, obesity and aging. Use more slow-burning, low-glycemic vegetables such as asparagus, broccoli, kale, spinach, cabbage and Brussels sprouts. Berries, cherries, peaches, plums, rhubarb, pears and apples are optimal fruits; cantaloupes and melons, grapes, and kiwifruit are suitable, though they contain more sugar. A diet high in fiber further helps to stabilize blood sugar by slowing carbohydrate absorption, and it supports a healthy digestive tract. Try to gradually increase fiber to 30 to 50 grams a day, and use predominantly soluble or viscous fiber (legumes, nuts, seeds, whole grains, vegetables and fruit), which slows sugar absorption from the gut. Minimize starchy, high-glycemic cooked vegetables, such as potatoes, corn and root vegetables, such as rutabagas, parsnips and turnips. People often ask if I think vitamins and other supplements are necessary for optimal health. My answer: There’s probably no need for you to take vitamins — ifyou happen to eat only wild, fresh, whole, organic, nongenetically modified food.And if all that food was grown in virgin mineral and nutrient-rich soils — and was local, not transported across vast distances and stored for months before being eaten. And if you work and live outside; breathe only fresh unpolluted air; drink only pure, clean water, sleep nine hours a night, move your body every day; and are free from all chronic stressors and exposure to environmental toxins. If you live like that, you probably don’t need vitamins. Of course, virtually no one on the planet lives like that these days. So I believe we all need vitamins, minerals and other supplements — for the health of our bodies and the proper functioning of our brains. medical training. I thought if we just had enough to prevent us from some horrible deficiency state like scurvy (vitamin-C deficiency), then we didn’t have to worry about how much we were getting. I also thought that if we ate “enriched food” like white flour with a few vitamins added, or milk with vitamin D, additional supplementation was a waste. What most people don’t realize is the same thing I was unaware of when I first started practicing medicine: The real reason our food supply must be “enriched” is because it is so processed and nutritionally impoverished to begin with. Today, even with our “enriched food,” more than 92 percent of Americans are deficient in one or more vitamins. That doesn’t mean they are receiving less than the amount they need for optimal health. It means they’re receiving less than theminimum amount necessary to prevent deficiency diseases. For example, a report in the Journal of Pediatrics found obesity and malnutrition coexisting. You never think of overweight people as malnourished, but they can be — and often are! Virtually none of us regularly gets enough of the basic nutrients we need to create optimal health or give ourselves a metabolic tune-up. So, in today’s world,everyone needs a basic multivitamin and mineral supplement. The research is overwhelming on this point. Virtually none of us regularly gets enough of the basic nutrients we need to create optimal health or give ourselves a metabolic tune-up. In fact, I would like to institute a new model of nutrition, one that turns the “minimum daily requirements” upside down. Most doctors learn that vitamins are important to prevent deficiency diseases like scurvy or rickets. Yet, there is a new concept emerging about which very few doctors are yet aware: Having enough of a nutrient to prevent one of these deficiency diseases, but notenough to optimize cellular function, will lead to “long-latency” deficiency diseases (diseases that take a long time to manifest themselves) like depression or Alzheimer’s disease. I have tested thousands of patients for vitamin and nutrient deficiencies and found that by correcting them, people feel better and improve not just their physical health, but their mood, mental sharpness, memory and ability to focus. Vitamins and minerals are required to repair and rebalance brains that aren’t functioning the way they should. Let’s look again at serotonin, the neurotransmitter that boosts our mood. You don’t eat serotonin, but your body makes it from the amino-acid tryptophan that comes, for example, from the protein in a turkey sandwich. The enzyme designed to convert tryptophan into serotonin needs vitamin B6 to help it perform its chemical wizardry. No B6, no enzyme reaction, no serotonin, no happy mood. The result? Depression — along with a host of other potential problems. That’s why nutrients are so essential. Without them, your biochemical wheels grind to a halt. Your enzymes don’t get the messages they need to perform their critical functions. Of course, every individual has unique nutritional requirements and enzymes that respond differently to certain nutrients than other people’s enzymes do. 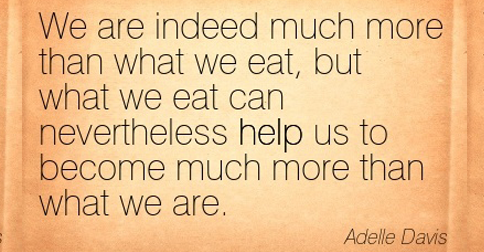 That is why making sure you have the right amount of nutrients for you is so important. And one of the easiest ways to do that is by taking supplemental vitamins and minerals, which supply the raw materials most people need to keep their brains healthy. These supplements (below) provide the basics your body requires to perform the trillions of critically important tasks required to function properly, the source for all the raw materials you need to thrive. This high level of nutrition is also essential to improving your brain health and your mood. Calcium and magnesium. Magnesium, especially, is a stress antidote, a secret weapon against anxiety and the most powerful relaxation mineral that exists. Anything that is tight, irritable, crampy, stiff — whether it’s a body part or a mood — is a sign of magnesium deficiency. You should consider taking additional calcium and magnesium supplements beyond what is in your multivitamin. Vitamin D — “D” as in depression and dementia. Vitamin-D deficiency is a major epidemic that flies under the radar of most doctors and public-health officials. In one study of elderly patients, those with the lowest vitamin-D levels were most likely to suffer from depression. We also know that vitamin-D levels drop precipitously in winter, contributing to seasonal affective disorder; taking vitamin D can prevent this. Supplementation beyond your multivitamin is essential unless you are spending all your time at the beach, eating 30 ounces of wild salmon a day or downing 10 tablespoons of cod liver oil a day! Omega-3 fatty acids in capsule or liquid form. Even if you are eating lots of fish and nuts in your diet, it’s probably still a good idea to supplement. Folate, B6 and B12. These nutrients are all methylation factors necessary for brain health. You should consider taking additional folate, B6 and B12 supplements beyond what is in your multivitamin. Probiotics, or beneficial bacteria. These improve our digestion, reduce food allergies and reduce gut inflammation that can lead to mental-function and mood problems. Of course, nutrient deficiency is only one area where brain and mood problems are created. We have to look at how our genes, diet and environment all interact to affect our brain chemistry and influence function and balance of our body and mind. But one thing is sure: What you eat is a major contributor to your mental and emotional health. Determining what nutrients you are lacking and reestablishing nutritional balance with a mood-calming eating plan is an important step on your path to optimal vitality, or what I call UltraWellness. As I always say, the most powerful tool you have to transform your health and improve your mood is your fork! In a perfect world, no one would need supplements. But given the stress of our modern life, the poor quality of our food supply, and the high load of toxins in our brains and bodies, we clearly need a basic daily supply of the raw materials for all our enzymes and biochemistry to run as designed. Through my research and my treatment of thousands of patients over the last 15 years, I have learned much about how to find safe, high-quality and effective nutritional-supplement products. Finding the best products to support health has always been the most difficult part of my job. The lack of adequate government regulations, the dizzying array of products on the market, and the large variations in quality all create a minefield of obstacles for anyone trying to find the right supplement, vitamin or herb. Be aware that not all brands are created equal. Manufacturers, rather than government regulators, oversee the quality of these products. Certain companies are more careful about quality, sourcing of raw materials, consistency of dose from batch to batch, the use of active forms of nutrients, and not using fillers, additives, colorings, etc. Manufacturers who use GMP (good manufacturing practices) for drug or supplement standards from an outside certifying body. Products that use independent, third-party organizations to verify active ingredients and contaminants. Products that have been tested in clinical trials or have a long history of use and safety. Products that are free of preservatives, fillers, binders, excipients, flow agents, shellacs, coloring agents, gluten, yeast lactose and other allergens. Each person must be cautious and evaluate companies and products for themselves. If possible, try to work with a trained dietitian, nutritionist, or nutritionally oriented physical therapist or healthcare practitioner to select the best products. Mark Hyman, MD, is the medical director and founder of The UltraWellness Center in Lenox, Mass. This article was adapted from his recent book, The UltraMind Solution: Fix Your Broken Brain by Healing Your Body First (Scribner, 2009). Dr. Hyman also is editor of the peer-reviewed journal Alternative Therapies and a leading expert in functional medicine. For more information, see www.ultrawellness.com/blog. Learn more about the fundamentals of functional medicine from Dr. Hyman by reading our six-part series on the topic, beginning with the June 2008 issue in our archives at experiencelife.com.